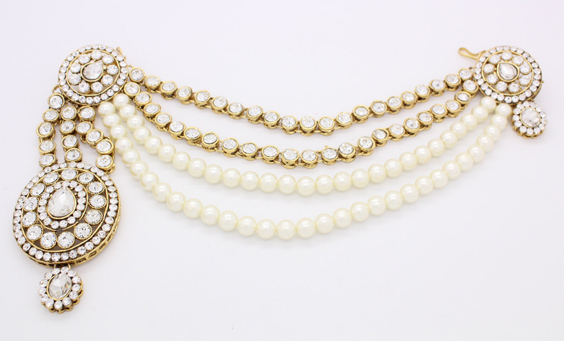 Kundan Jewellery Guide To Help You Purchase Like a Pro! If you’ve grown up on raja and rajkumari stories since childhood and are now mesmerized by our very own Bollywood beauties who’re seen adorning those majestic Kundan and Polki sets in epic movies like, Jodha Akbar, Ramleela and Bajirao Mastani, here's a lookbook and guide to shopping for Kundan jewellery that should answer all your questions on how to select the best. Let’s dive into the nitty-gritty right away! What is Kundan Jewellery and Why You Should Invest in It? Made popular by the Mughals, Kundan jewellery is made by Rajasthani craftsmen and requires impecceble finnesse and attention to detail. 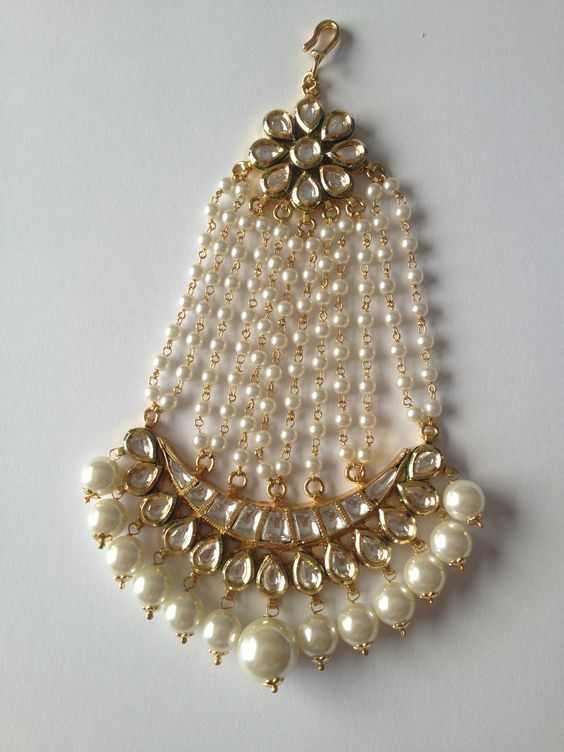 Unlike Polki jewellery which is constructed by setting uncut diamond and precious and semi-precious stones in gold , Kundan jewellery makes use of glass imitations while using stones and gold or silver, and is therefore more affordable while still maintaining the regality of the traditional mughal inspired designs. Another special feature of Kundan Jewellery is it's finish where the opposite side of the piece is enameled using Meenakaari. You may not get great return on your investment when it comes to Kundan jewellery since the weight of the kundan charged as gold will be debited in case of exchanges or returns. However, this is the case for any kind of Jadau and Polki jewellery as well. As the old saying goes, if you want to keep your money safe, invest in gold. 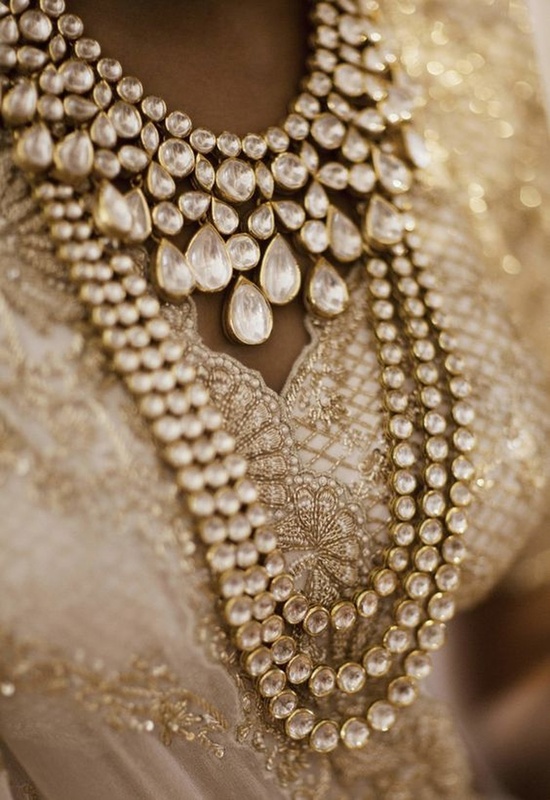 However, there's nothing that says bride like heirloom designs set with Kundan, Polki and precious stones. It's not like we are selling our gold now to buy bread, are we? Let's celebrate the craftsmanship, the look and detailing and the art of this kind of jewellery. You are sure to pass this on to your children. Kundan jewellery has layers upon layers of stone and precious metal and features intricate joint work. Flat or uncut stones are set on 24 carat gold jewellery using lac and fine gold foils. The undersides of these pieces are enamelled. Kundan also features elaborate meenakari work and looks stunning with uncut rubies, sapphires and emeralds too. 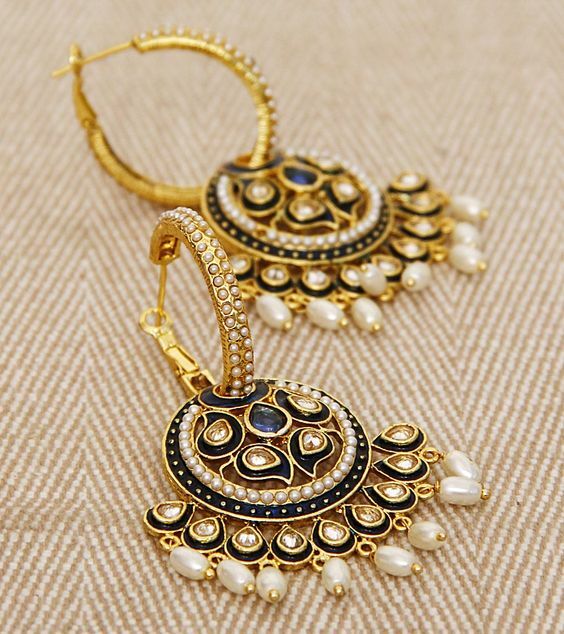 Where to Buy Kundan Jewellery? With a whole cluster of Kundan artisans settled in Rajasthan. If you’re looking for the finest Kundan jewellery pieces, the cities of Bikaner and Nathdwara in Rajasthan is where you can begin your hunt. 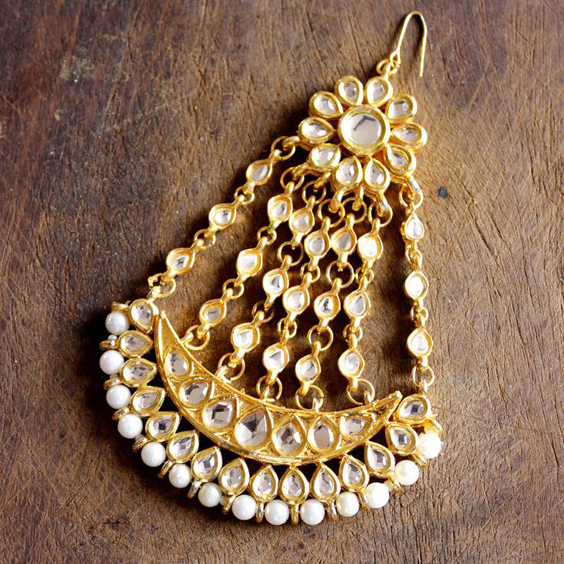 Varanasi, Jaipur and Hyderabad too are renowned for their Kundan jewellery. While a piece of Polki jewellery can cost you anywhere between Rs. 4 – 15 lakh, a Kundan can be priced at half of the cost. 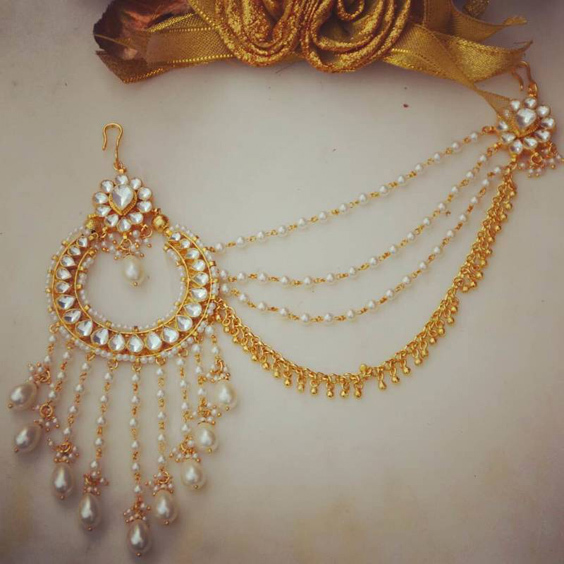 How to buy Kundan Jewellery? Check for authentic stamps on jewelry. It cuts down on the risk of fake. If the jewelry turns black or green after wearing it for some time, it is not gold. On the other hand, if you purchased silver jewelry and it does not turn black after weeks of wearing, it is not real silver. Hold a magnet close to your ornament. If the magnet is attracted to the jewelry, its fake. 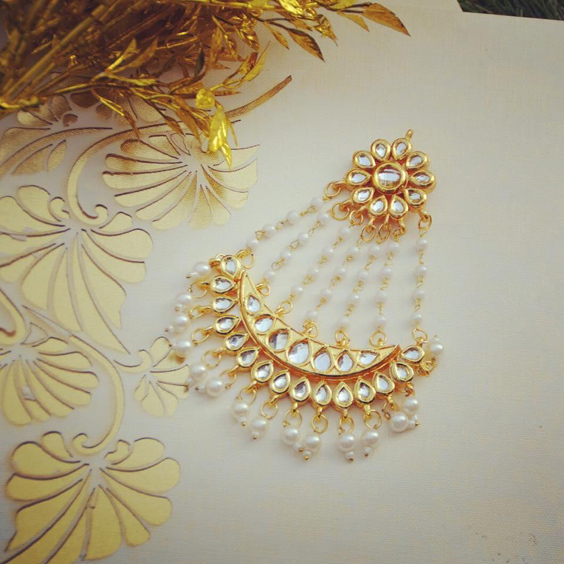 Have a look at how our Real Brides rocked the kundan stones! Our Real Groom isn't too far behind in adorning Kundan either!